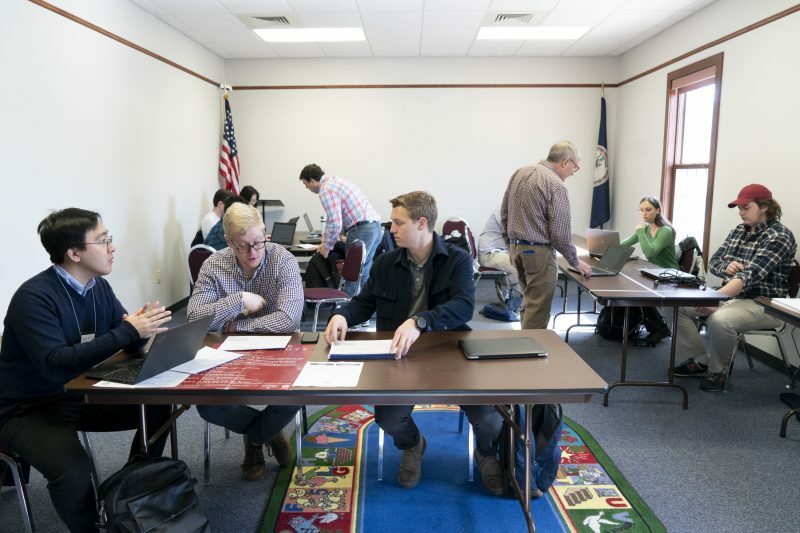 Tax Prep Course Helps Students and Community Through the Volunteer Income Tax Assistance program, W&L students used their knowledge to prepare taxes for local low-income and elderly residents. Professor Jack Bovay helps students get set up for the day before they begin to see clients through the Internal Revenue Service’s Volunteer Income Tax Assistance (VITA) program. 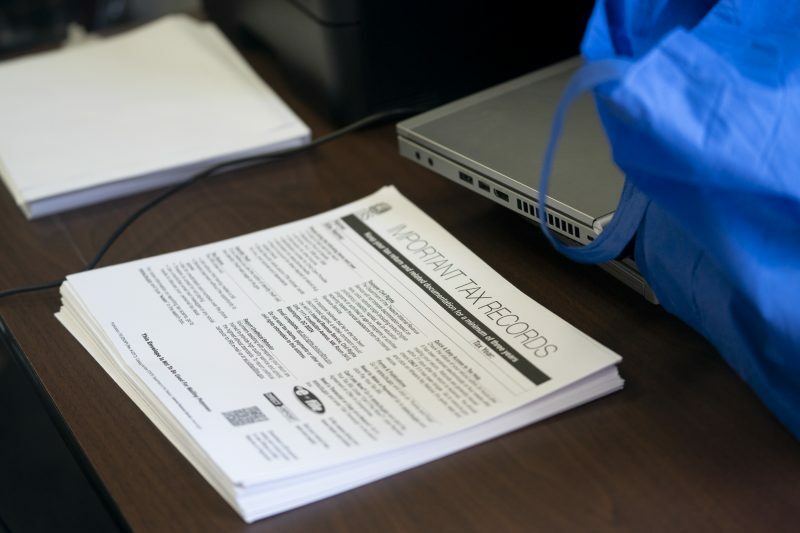 A group of 18 Washington and Lee undergraduate students gathered on six Saturdays during Winter Term to help file tax returns for residents of Lexington and the surrounding areas. 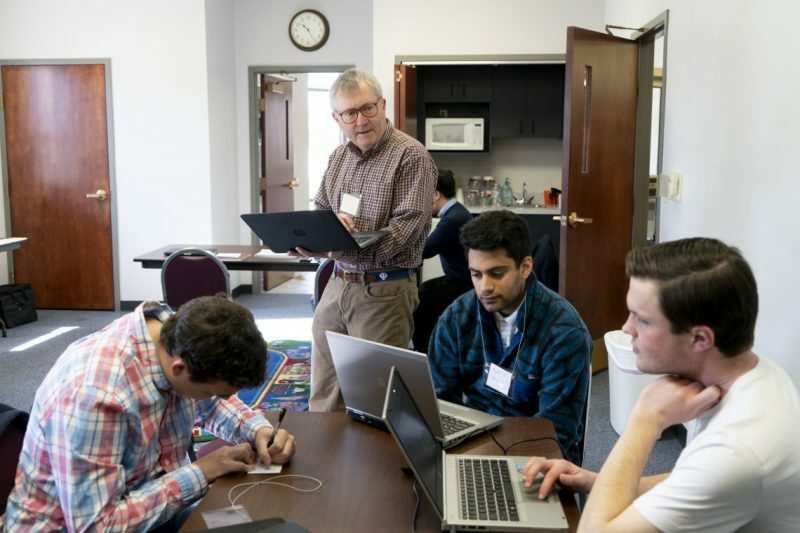 Visiting professor of accounting Jack Bovay led students through a two-credit course this semester that allowed them to serve as Volunteer Income Tax Assistance (VITA) program volunteers. 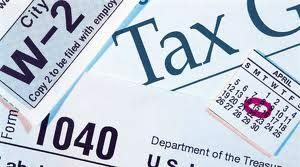 The IRS program is designed to help low-income and elderly individuals file their tax returns, which for some can be a very intimidating process. The service is offered at no cost to clients. The IRS program started in the late 60s, and VITA volunteers across the nation now prepare about four million returns a year, according to Bovay. Bovay is a 1979 graduate of Washington and Lee University, where he earned a BS in commerce from the Williams School of Commerce, Economics, and Politics. He is board certified in both tax law and wills and trusts and estates law. He also holds an LL.M. in taxation and is a Florida-licensed CPA. Additionally, he is a partner with the Salter Feiber law firm in Gainesville, Florida. “You can see he cares about it and that makes all of us care about it in return,” said William Digges ’20. Bovay worked with the W&L Office of Community-Based Learning to identify spaces in the community where the VITA program could be hosted this year. For the first half of tax season, the class set up camp at Lexington Presbyterian Church on South Main Street. They also visited Buena Vista Public School’s Ramsey Center and the Glasgow Public Library. Accounting and business administration major Will Boutin ’19 said the VITA experience offers lessons that can’t be taught in a classroom. 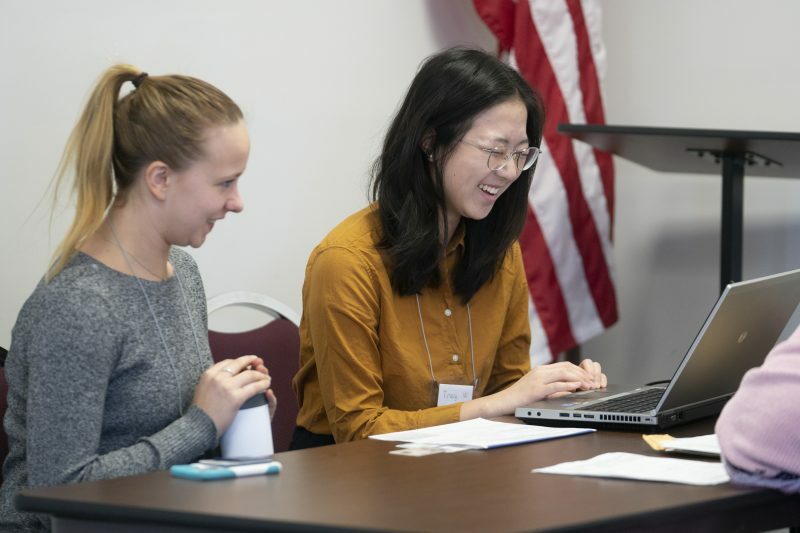 Laura Gottschalk ’19 and Tracy Wang ’20 laugh with a client as they help her prepare her taxes through the Internal Revenue Service’s Volunteer Income Tax Assistance (VITA) program at the library in Glasgow, Virginia. The course is also a testament to the Accounting Department’s efforts to teach more than just the numbers, said Digges, an accounting and economics double major and classics minor. Not only are students volunteering their time, but they had to pass four IRS exams to do so. 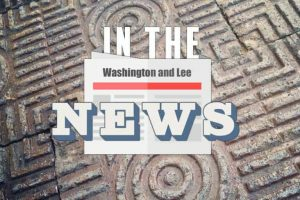 “Those were very comprehensive and difficult exams administered by the IRS that students had to pass in order to be able to be qualified as volunteers,” Bovay said. Boutin said he spent upwards of 12 hours studying for the exams. Digges took an additional IRS exam so he could assist military members, as they are taxed differently. Soon Ho Kwon ’19, James Brady ’19 and Will Boutin ’19 prepare to greet clients through the Internal Revenue Service’s Volunteer Income Tax Assistance (VITA) program at the library in Glasgow, Virginia. VITA also gave students the opportunity to interact and connect with local community members. “Everyone has been nothing but appreciative,” Boutin said. Many students said they took the class specifically because of Bovay. Bovay said he has enjoyed not only the technical aspect of students learning outside the classroom, but also the sociological piece. Using a technical skill to address a community need has allowed students a unique opportunity to get to learn more about the Rockbridge County community and the complexity of real life situations. This is the first time that undergraduate students have participated in VITA. Bovay described the class as a “start-up business” and said that he has learned a lot over the course of the semester on how to improve for next year. Marketing the service to the community is one area he hopes to improve. As the 2018 tax season comes to a close, Bovay is already at work planning next spring’s VITA program. The university extends its gratitude to all of the community members who participated in this year’s pilot program, as well as to personnel at the host sites who generously shared their resources to make this a successful experience for all. Envelopes wait to be filled with tax records at the library in Glasgow, where W&L students assisted clients with their taxes through the Internal Revenue Service’s Volunteer Income Tax Assistance (VITA) program.